It’s that time of year again. New chicken owners the world over have pullets nearing point of lay and they are all asking the same questions: Why is my hen’s comb getting so big and red? Is she really a he? Sexing chickens over 16 weeks of age is actually very easy. One of the reasons I think this late summer/early fall panic among newbies occurs is because of the emphasis given to sexing chicks based on comb and wattle development. 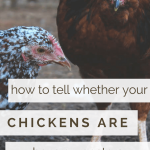 While this is a pretty good way to tell the gender in younger birds I really feel that it loses its accuracy by the time the chickens are about 16 weeks old because the pullets are starting to mature. With chickens, red combs and wattles are a sign of sexual maturity – not gender. When a pullet (female chicken under 1 year of age) nears point of lay (sexual maturity) her comb and wattles will grow and turn red. Sometimes, largely depending on the breed, the pullets will have bigger combs then the cockerels. The males develop their combs and wattles much earlier in life – which is why it can be used so accurately to determine the gender when they are young. Pullets will have rounder, wider hackle (neck) feathers. The don’t have long, curved feathers (called sickle feathers) in their tails. They have wide, rounded feathers on their lower back. 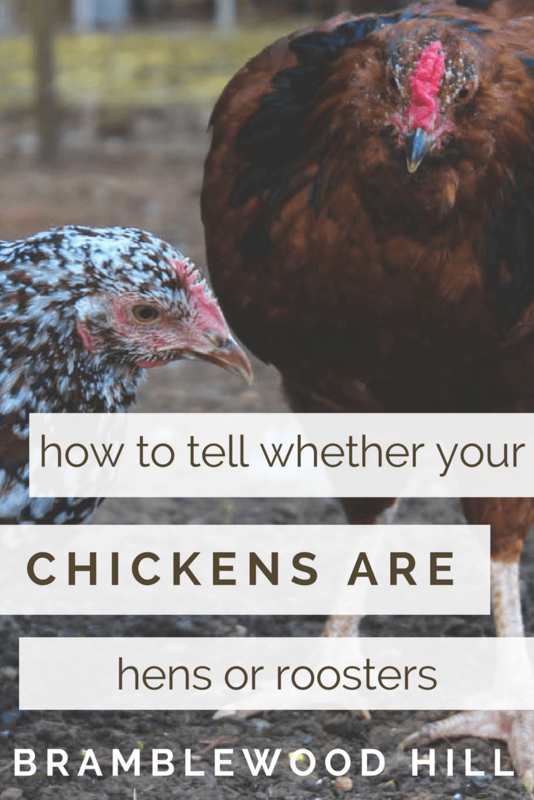 Their combs and wattles will grow and turn red as they get closer to laying their first egg – their combs and wattles can actually be bigger than those of a cockerel. Cockerels (roosters) have long, skinny neck feathers. They have long, skinny, and shiny saddle feathers on their lower back. These feathers typically hang over the wing tips. They’ll also have sickle feathers in their tails. Combs and wattles growing and reddening. Squatting for you or other chickens. Pelvic bones spread from 1 finger width to 2-3 finger widths. Shows an interest in the nest boxes. Has an increase and/or change in vocalizations.